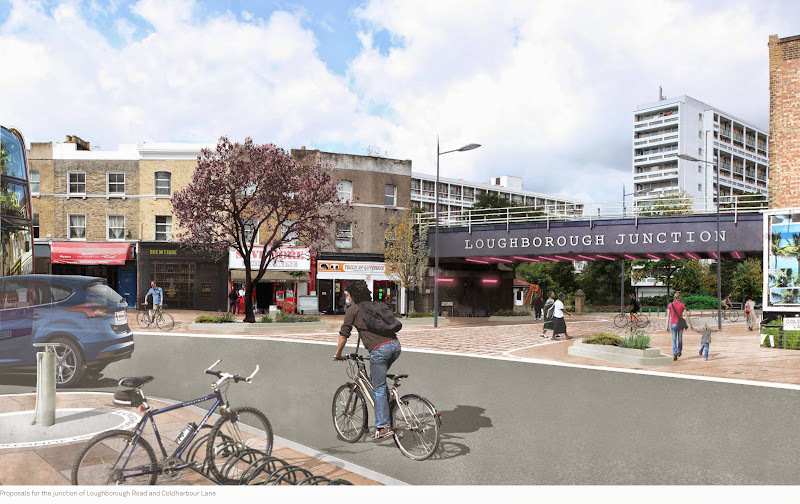 This Tuesday, 21 July 2015, Lambeth Council will be making a decision on whether to go ahead with proposed road changes around Loughborough Junction. The changes to road layouts and changes in priorities will make the area much more pedestrian and cyclist friendly and should begin to create a focus for the neighbourhood which as present is split by the major roads that dominate the area. We will be demonstrating outside the Town Hall in support of the proposals - join us 5:30pm onwards to show your support for creating space for cycling in Lambeth. For more information contact Clare Neely -clare.neely34@gmail.com.